Back in action after a three-month break, Australian young gun Jaimee Fourlis is continuing her climb up the rankings - all the while completing Year 12. Jaimee Fourlis is back on the court after a significant chunk of time away. The reason she was out? The young Victorian, after a long stint on the road in Europe, had to focus on her studies. 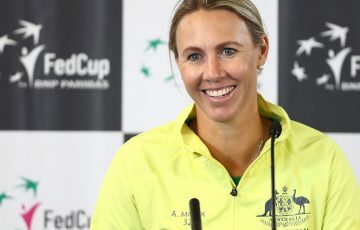 The 18-year-old is completing Year 12 while her professional tennis career blossoms, with the highlights of 2017 so far being winning a round at the Australian Open and pushing Caroline Wozniacki all the way at Roland Garros. 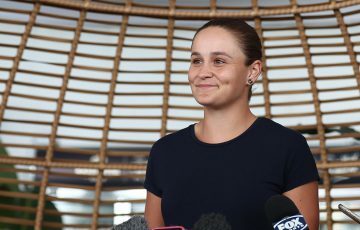 We caught up with Fourlis while she was in Melbourne, between her recent appearance on the Pro Tour – where she reached quarterfinals in Penrith and Brisbane – and as her end-of-year exams loom. After you played at Roland Garros, you didn’t compete for three months. What did you do in that time away? 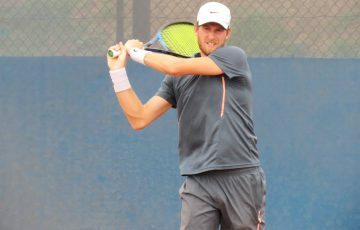 How are you finding the challenge of combining your education with a pro tennis career? Some players don’t finish their schooling. You’ve made the decision to keep going. Why have you chosen to do it this way? Were you worried at all that it would be hard to come back to competition after such a long time away? Let’s go back to the match against Wozniacki in the first round at Roland Garros. She went on to make the quarterfinals, but you pushed her to three sets and really gave her a scare. How was that experience? Caroline must’ve given you a good idea of the level you have to attain – and sustain. What did you learn from that match, and what will you work on as a result? Now that you’ve turned 18 and you can play a full schedule, how will it look for the rest of the year, and in 2018?